With the new DC animated movie Justice League: The Flashpoint Paradox being released tomorrow, let’s read my favorite one-shot from that event. It’s short, violent, and delves into an important supervillain problem: what if they actually win? What then? 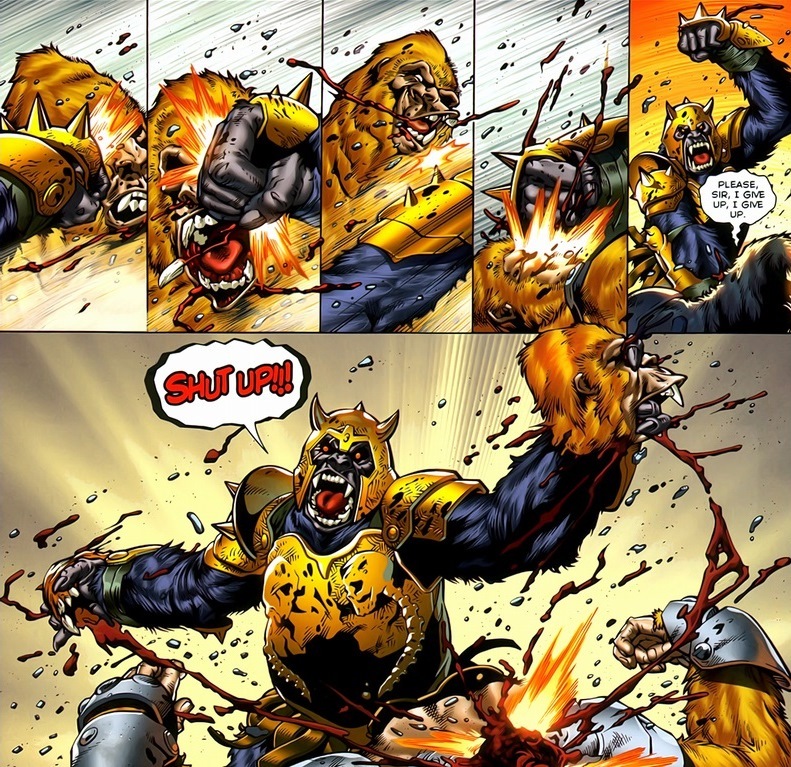 In Flashpoint: Grodd of War, written by Sean Ryan and drawn by Ig Guara, we’ll find out Gorilla Grodd’s answer. 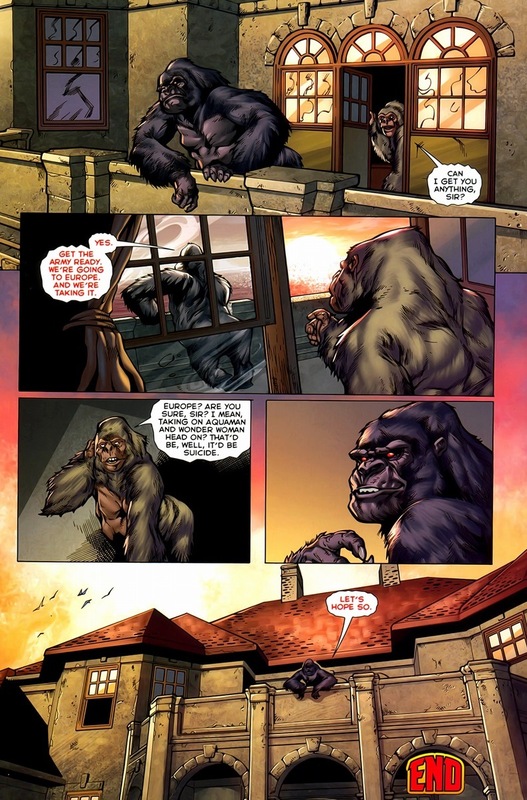 Gorilla Grodd, a member of Flash’s rogues gallery, began as a dumb, normal ape living in Africa. Then an alien spacecraft crashes into him, turning him and his group of buddies into genius psychic monkeys. 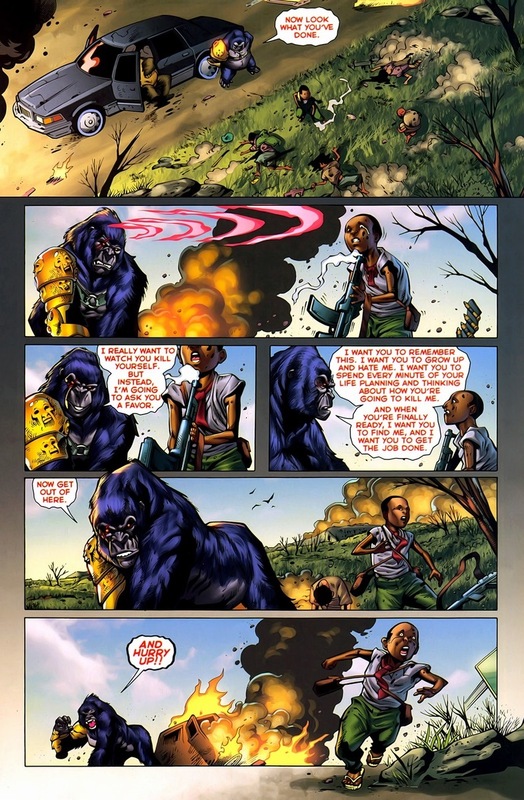 He builds a town called Gorilla City and begins his life whipping up trouble for our heroes. 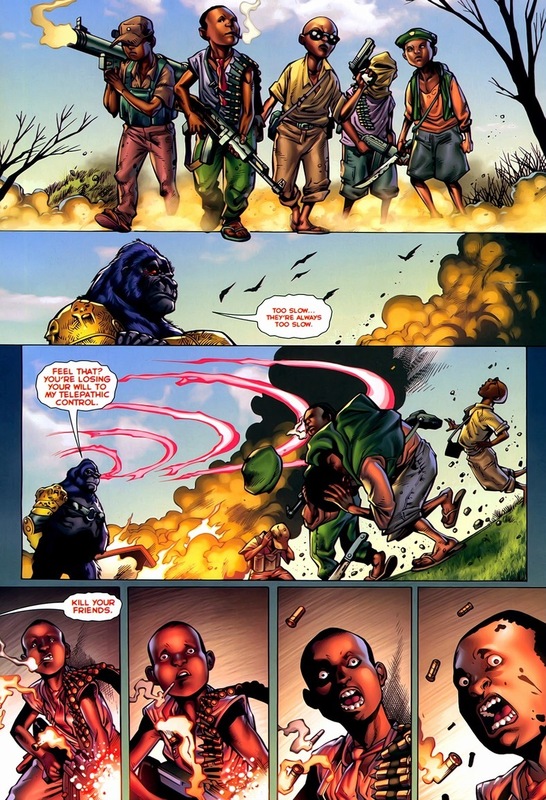 But in the Flashpoint alternative universe, the superheroes are too busy fighting each other (or never existing) to stop Grodd from his savage conquests. So he wins. Like most bad guys, the pageantry and chase align just as importantly as the victory. The Riddler could easily nab millions of dollars without anyone noticing him or getting impaled by batarangs. But Batman has to attempt to foil his plans because Riddler (and almost the entirety of Batman’s baddies) need both the challenge and fight over a worthy opponent. 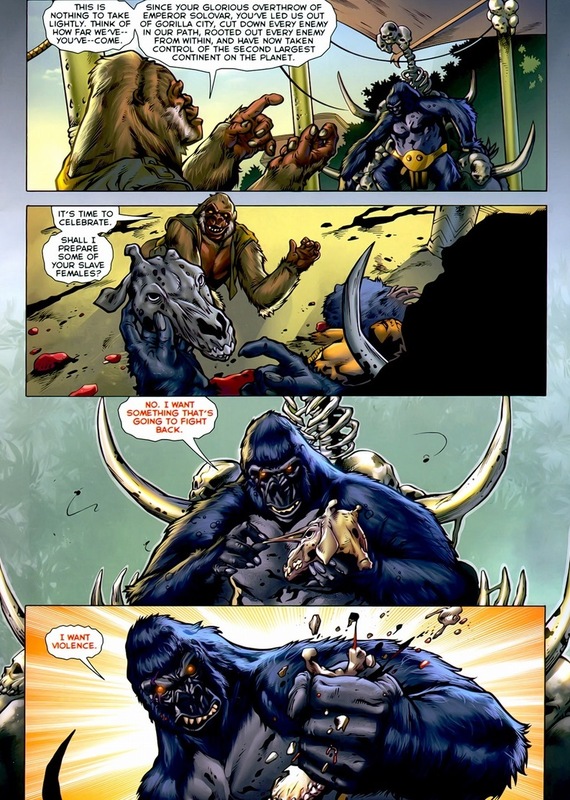 Grodd isn’t too different. And after easily defeating the continent of Africa without any real opposition, well, that’ll make a thrillseeker depressed. 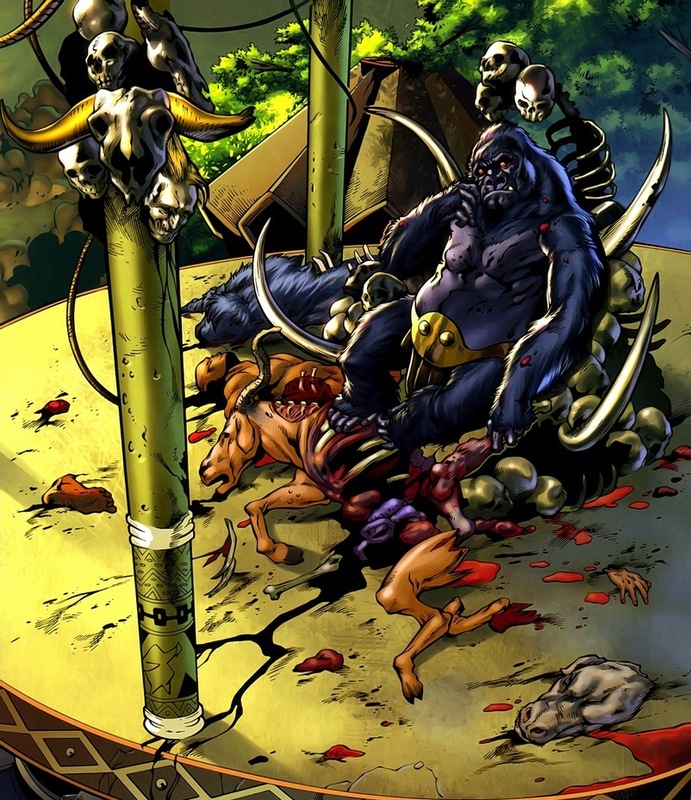 If a genius gorilla can take down human opponents so quickly, why not another gorilla? 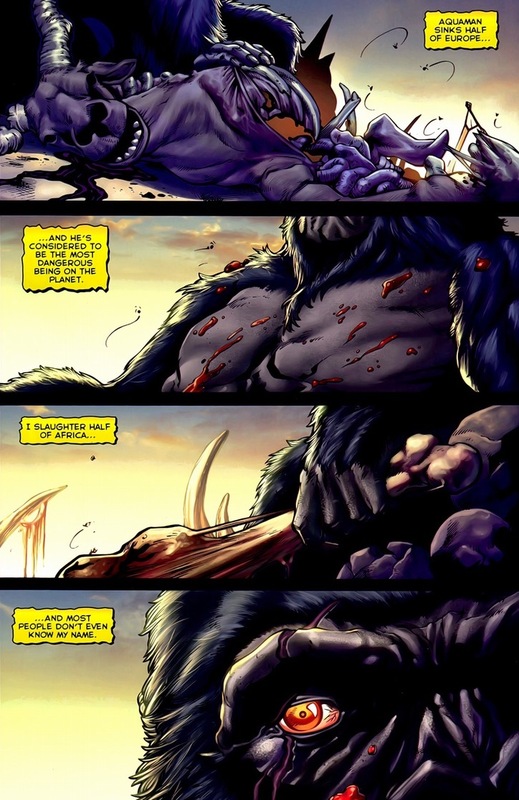 Surely that’ll satiate Grodd’s bloodlust for a little while. Or not. No joy in a hollow victory, y’know. 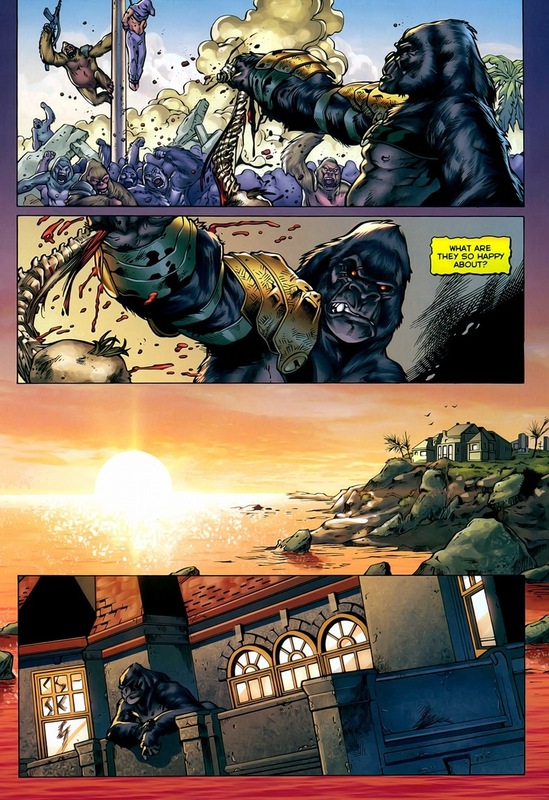 Is Grodd bored or does Grodd wish to end all this? Does he want another battle or death? Now while my psychology training borders on non-existent, the best I can decipher is that Grodd wishes for death through battle. Honorable, bloody, and exciting. 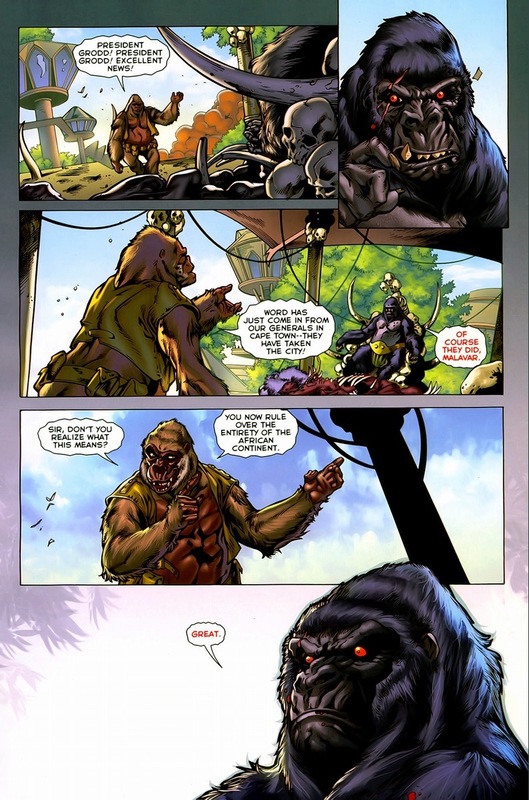 You notice how Grodd worded all that? “I’m going to ask you a favor.” Still, a rematch twenty years in the future certainly sounds appealing, but that’s a lot of down time watching monkeys pick out ticks from their fur. If superheroes won’t come to you, pack up the kids and head to them. 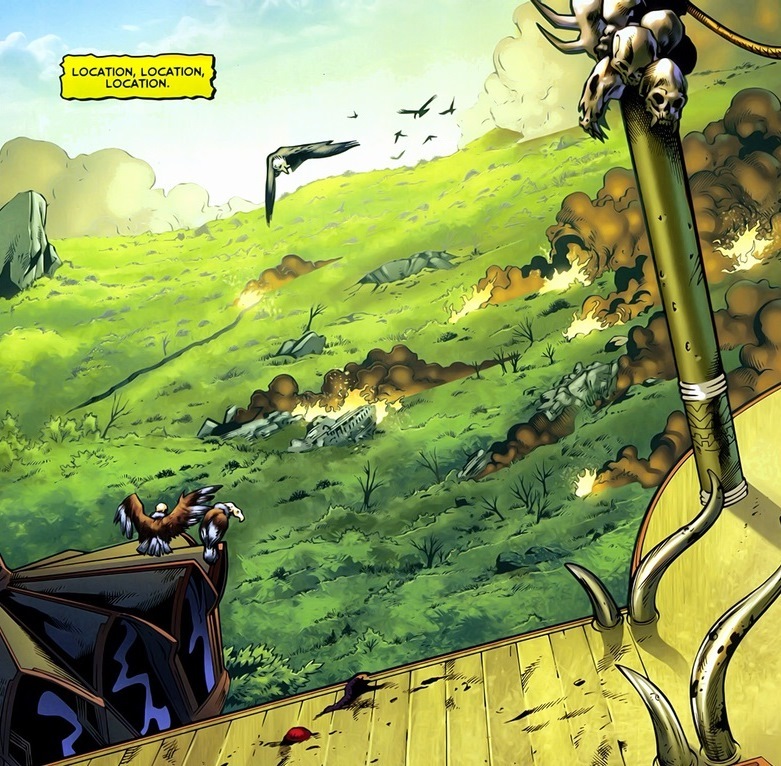 Aquaman (and his enemy Wonder Woman) certainly possess the motivation and capability to rip out ape spines themselves. That’s not a bad way to go. Not at all. This site absolutely rocks, you give me the joy of reading and explaining comics all the way into the deep hart of Africa, keep up the good work.